If you’re searching for an affordable used car that can handle Richardson Highway, then you’re at the right place: We have 145 used vehicles for sale at our Fairbanks, AK car lot. Whether you’re looking for a capable pickup truck for tough North Pole jobs, or you’re looking for the compact Chevy Cruze, our Lithia dealership has plenty of vehicles from which to choose. In addition, you can rest assured that, in choosing us for your pre-owned car needs, you’re not getting a lemon: Each of our vehicles has been inspected for quality. Plus, with our wide selection of pre-owned vehicles, you can find cars from beyond the Chevrolet, Buick, and GMC brand; we’ve got cars from Ford, Honda, and more. Feel free to browse our pre-owned vehicle specials; then, schedule a test drive today. ONLY 46,022 Miles! FUEL EFFICIENT 35 MPG Hwy/25 MPG City! LS trim. Alloy Wheels, Onboard Communications System, ENGINE, ECOTEC 1.8L VARIABLE VALVE TI... AUDIO SYSTEM, AM/FM STEREO WITH CD PL... CLICK NOW! KEY FEATURES INCLUDE Onboard Communications System, Aluminum Wheels. Keyless Entry, Child Safety Locks, Electronic Stability Control, Bucket Seats, Brake Assist. OPTION PACKAGES AUDIO SYSTEM, AM/FM STEREO WITH CD PLAYER and MP3 playback, seek-and-scan, digital clock, auto-tone control, Radio Data System (RDS), equalizer and auxiliary input jack, ENGINE, ECOTEC 1.8L VARIABLE VALVE TIMING DOHC 4-CYLINDER SEQUENTIAL MFI estimated (138 hp [103 kW] @ 6300 rpm, 125 lb-ft of torque [168.8 N-m] @ 3800 rpm) (STD). Chevrolet LS with SILVER ICE METALLIC exterior and JET BLACK/DARK TITANIUM interior features a 4 Cylinder Engine with 138 HP at 6300 RPM*. EXPERTS REPORT Edmunds.com explains The 2012 Chevrolet Sonic could be an intriguing choice for a small economy car thanks to edgy styling, impressive power and roomy interior.. Great Gas Mileage: 35 MPG Hwy. VISIT US TODAY Chevrolet Buick GMC of Fairbanks sells new, certified pre-owned and used cars, trucks and SUVs in Fairbanks, Alaska. We offer financing options and incentives for all North Star Borough Chevrolet, Buick and GMC customers. Our inventory includes the popular Chevy Malibu, the versatile Chevy Traverse and the powerful Chevy Silverado pickup truck. Consider the all new Buick Verano or the GMC Sierra. Schedule a test drive at Chevrolet Buick GMC of Fairbanks today! Plus tax, title and license. Prices include $200 dealer doc fee. See dealer for Stock Numbers. Price contains all applicable dealer incentives and non-limited factory rebates. You may qualify for additional rebates; see dealer for details. ONLY 58,820 Miles! FUEL EFFICIENT 37 MPG Hwy/27 MPG City! Onboard Communications System, iPod/MP3 Input, Smart Device Integration, Remote Engine Start, Satellite Radio, TRANSMISSION, 6-SPEED AUTOMATIC, Aluminum Wheels CLICK ME! KEY FEATURES INCLUDE Satellite Radio, iPod/MP3 Input, Onboard Communications System, Aluminum Wheels, Remote Engine Start, Smart Device Integration. Keyless Entry, Child Safety Locks, Steering Wheel Controls, Heated Mirrors, Electronic Stability Control. OPTION PACKAGES AUDIO SYSTEM, AM/FM STEREO WITH CD PLAYER AND MP3 PLAYBACK/WMA seek-and-scan, digital clock, DSP, Bluetooth audio streaming and digit dial (STD), TRANSMISSION, 6-SPEED AUTOMATIC (STD), ENGINE, ECOTEC 1.8L VARIABLE VALVE TIMING DOHC 4-CYLINDER SEQUENTIAL MFI (138 hp [103 kW] @ 6300 rpm, 125 lb-ft of torque [168.8 N-m] @ 3800 rpm) (STD). Chevrolet LT with BLACK GRANITE METALLIC exterior and JET BLACK/BRICK interior features a 4 Cylinder Engine with 138 HP at 6300 RPM*. EXPERTS ARE SAYING Sporty looks, 10 standard airbags, interesting interior design, available 1.4-liter turbo from the Cruze with 40-mpg potential, low price. -CarAndDriver.com. Great Gas Mileage: 37 MPG Hwy. WHY BUY FROM US Chevrolet Buick GMC of Fairbanks sells new, certified pre-owned and used cars, trucks and SUVs in Fairbanks, Alaska. We offer financing options and incentives for all North Star Borough Chevrolet, Buick and GMC customers. Our inventory includes the popular Chevy Malibu, the versatile Chevy Traverse and the powerful Chevy Silverado pickup truck. Consider the all new Buick Verano or the GMC Sierra. Schedule a test drive at Chevrolet Buick GMC of Fairbanks today! Plus tax, title and license. Prices include $200 dealer doc fee. See dealer for Stock Numbers. Price contains all applicable dealer incentives and non-limited factory rebates. You may qualify for additional rebates; see dealer for details. LT Fleet trim. FUEL EFFICIENT 30 MPG Hwy/18 MPG City! Alloy Wheels, Remote Engine Start, Dual Zone A/C, AUDIO SYSTEM, AM/FM STEREO WITH CD PL... SEAT, REAR FLIP-AND-FOLD FLAT, ENGINE, 3.6L SIDI DOHC V6 VVT. AND MORE! KEY FEATURES INCLUDE Aluminum Wheels, Remote Engine Start, Dual Zone A/C. Remote Trunk Release, Keyless Entry, Child Safety Locks, Steering Wheel Controls, Electronic Stability Control. OPTION PACKAGES SEAT, REAR FLIP-AND-FOLD FLAT with armrest, AUDIO SYSTEM, AM/FM STEREO WITH CD PLAYER seek-and-scan, digital clock, auto-tone control, automatic volume and TheftLock (STD), TRANSMISSION, 6-SPEED AUTOMATIC, ELECTRONICALLY CONTROLLED WITH OVERDRIVE (STD), ENGINE, 3.6L SIDI DOHC V6 VVT (300 hp [223.7 kW] @ 6500 rpm, 262 lb-ft of torque [353.7 N-m] @ 5300 rpm) (STD). Chevrolet LT Fleet with BLACK exterior and EBONY interior features a V6 Cylinder Engine with 300 HP at 6500 RPM*. EXPERTS CONCLUDE Edmunds.com's review says Spacious cabin and comfortable ride.. Great Gas Mileage: 30 MPG Hwy. WHO WE ARE Chevrolet Buick GMC of Fairbanks sells new, certified pre-owned and used cars, trucks and SUVs in Fairbanks, Alaska. We offer financing options and incentives for all North Star Borough Chevrolet, Buick and GMC customers. Our inventory includes the popular Chevy Malibu, the versatile Chevy Traverse and the powerful Chevy Silverado pickup truck. Consider the all new Buick Verano or the GMC Sierra. Schedule a test drive at Chevrolet Buick GMC of Fairbanks today! Plus tax, title and license. Prices include $200 dealer doc fee. See dealer for Stock Numbers. Price contains all applicable dealer incentives and non-limited factory rebates. You may qualify for additional rebates; see dealer for details. SLE2 trim. FUEL EFFICIENT 21 MPG Hwy/15 MPG City! Hitch, WHEELS, 4 - 15 X 7 (38.1 CM X 17.8 CM) CHROME FINISH STYLED ALUMINUM, TRAILERING EQUIPMENT, 4x4, Aluminum Wheels, Bed Liner, TRANSMISSION, 4-SPEED AUTOMATIC, ELEC... AND MORE! KEY FEATURES INCLUDE 4x4. MP3 Player, Privacy Glass, Keyless Entry, Child Safety Locks, Bucket Seats. OPTION PACKAGES SUSPENSION PACKAGE, HIGH STANCE OFF-ROAD includes (N90) 4-15 x 7 (38.1 cm x 17.8 cm) cast aluminum wheels (3SA and 3SB) and (N83) 4-15 x 7 (38.1 cm x 17.8 cm) chrome finish styled aluminum wheels on (4SA), (QWU) P265/75R15 on-/off-road, blackwall tires, front torsion bars, 28mm front stabilizer bar, urethane jounce bumpers, large wheel flares, (G80) automatic locking rear differential and (ZFL) P235/75R15 all-season, blackwall spare tire, WHEELS, 4 - 15 X 7 (38.1 CM X 17.8 CM) CHROME FINISH STYLED ALUMINUM (Includes small body colored wheel flares on 2WD models with (Z85) Heavy-Duty Suspension Package), AUDIO SYSTEM, AM/FM STEREO WITH 6-DISC CD CHANGER seek-and-scan, digital clock, auto-tone control, Radio Data System (RDS), speed-compensated volume, TheftLock and 4 speakers on Regular Cab models and 6 speakers on Extended Cab and Crew Cab models (Includes (UE1) OnStar. ), AIR BAGS, HEAD CURTAIN SIDE-IMPACT, FRONT AND REAR OUTBOARD SEATING POSITIONS, TRAILERING EQUIPMENT includes trailer hitch and 7-wire harness, TRANSMISSION, 4-SPEED AUTOMATIC, ELECTRONICALLY CONTROLLED WITH OVERDRIVE (STD), ENGINE, 3.7L DOHC 5-CYLINDER MFI (242 hp [180.4 kW] @ 5600 rpm), 242 lb-ft [326.7 N-m] @ 4600 rpm) (STD). BUY FROM AN AWARD WINNING DEALER Chevrolet Buick GMC of Fairbanks sells new, certified pre-owned and used cars, trucks and SUVs in Fairbanks Plus tax, title and license. Prices include $200 dealer doc fee. See dealer for Stock Numbers. Price contains all applicable dealer incentives and non-limited factory rebates. You may qualify for additional rebates; see dealer for details. Hitch, TRAILERING EQUIPMENT, HEAVY-DUTY, AUDIO SYSTEM, AM/FM STEREO WITH MP3 C... Chrome Wheels, Onboard Communications System, Satellite Radio, 4x4, ENGINE, VORTEC 5.3L V8 SFI WITH ACTIV... SEATS, FRONT 40/20/40 SPLIT-BENCH READ MORE! KEY FEATURES INCLUDE 4x4, Satellite Radio, Onboard Communications System, Chrome Wheels Privacy Glass, Heated Mirrors, Electronic Stability Control, Alarm, Electrochromic rearview mirror. OPTION PACKAGES POWER PACK PLUS includes (LY5) Vortec 5.3L V8 SFI engine, (LH6) Vortec 5.3L V8 SFI engine, (LC9) Vortec 5.3L V8 SFI FlexFuel engine or (LMG) Vortec 5.3L V8 SFI FlexFuel engine, (G80) heavy-duty automatic locking rear differential, (Z82) heavy-duty trailering equipment, and (QF7) 4 - 17 x 7.5 (43.2 cm x 19.1 cm) 6-lug aluminum wheels. SLE1 PREFERRED PACKAGE includes (AP3) remote vehicle starter system, (UK3) steering wheel controls and (N88) 4-17 x 7.5 (43.2 cm x 19.1 cm) 6-lug polished cast aluminum wheels, TRAILERING EQUIPMENT, HEAVY-DUTY includes trailering hitch platform and 2-inch receiver, 7-wire harness (harness includes wires for: park lamps, backup lamps, right turn, left turn, electric brake lead, battery and ground) with independent fused trailering circuits mated to a 7-way sealed connector, wiring harness for after-market trailer brake controller (located in the instrument panel harness), and single wire for center high-mounted stop lamp, (K47) high-capacity air cleaner and (KNP) external transmission oil cooler, STEERING WHEEL CONTROLS, MOUNTED AUDIO CONTROLS, AUDIO SYSTEM, AM/FM STEREO WITH MP3 COMPATIBLE CD PLAYER seek-and-scan, digital clock, auto-tone control, Radio Data System (RDS), speed-compensated volume and TheftLock (STD) Plus tax, title and license. Prices include $200 dealer doc fee. See dealer for Stock Numbers. Price contains all applicable dealer incentives and non-limited factory rebates. You may qualify for additional rebates; see dealer for details. EPA 21 MPG Hwy/15 MPG City! TRAILERING PACKAGE, HEAVY-DUTY, WHEELS, 4-20 X 8.5 (50.8 CM X 21.6 CM) CHROME-CLAD ALUMINUM, AUDIO SYSTEM, AM/FM STEREO WITH CD PL... REARVIEW CAMERA SYSTEM, Satellite Radio, Trailer Hitch CLICK ME! THIS SILVERADO IS EQUIPPED WITH PREMIUM FEATURES REGIONAL VALUE PACKAGE includes Vortec 5.3L V8 SFI FlexFuel engine, (S83) 4 - 20 x 8.5 (50.8 cm x 21.6 cm) chrome-clad aluminum wheels, (DL8) outside heated power-adjustable, chrome-capped, manual-folding mirrors, (CJ2) dual-zone automatic air conditioning, (UPF) Bluetooth for phone, (UK3) steering wheel-mounted audio controls, (UUI) AM/FM stereo with CD player and MP3 playback, (AG1) driver 6-way power seat adjuster, (T96) front fog lamps, (Z82) trailering package, (A60) locking tailgate, (PPA) EZ-lift tailgate, bodyside moldings with chrome accents and chrome door handles, CONVENIENCE PACKAGE includes (JF4) Adjustable power pedals, (C49) rear-window electric defogger, (UD7) Rear Parking Assist, (UG1) Universal Home Remote and (AP3) Remote vehicle starter system, ENGINE, VORTEC 5.3L VARIABLE VALVE TIMING V8 SFI FLEXFUEL WITH ACTIVE FUEL MANAGEMENT capable of running on unleaded or up to 85% ethanol (with gas - 315 hp [234.8 kW] @ 5200 rpm, 335 lb-ft of torque [452.2 N-m] @ 4000 rpm, with E85 ethanol - 326 hp [243.1 kW] @ 5300 rpm, 348 lb-ft of torque [469.8 N-m] @ 4400 rpm), aluminum block, TRAILERING PACKAGE, HEAVY-DUTY includes trailering hitch platform and 2-inch receiver, 7- wire harness (harness includes wires for: park lamps, backup lamps, right turn, left turn, electric brake lead, battery and ground) with independent fused trailering circuits mated to a 7-way sealed connector, wiring harness for after-market trailer brake controller (located in the instrument panel harness) and (KNP) external transmission oil cooler (with (MYC) 6-speed automatic transmission also includes (K5L) heavy-duty cooling package KEY FEATURES ON THIS SILVERADO INCLUDE 4x4, Satellite Radio Plus tax, title and license. Prices include $200 dealer doc fee. See dealer for Stock Numbers. Price contains all applicable dealer incentives and non-limited factory rebates. You may qualify for additional rebates; see dealer for details. LOW MILES - 30,422! EPA 38 MPG Hwy/29 MPG City! LT trim. Satellite Radio, Back-Up Camera, Turbo Charged, WiFi Hotspot, Onboard Communications System, iPod/MP3 Input, AUDIO SYSTEM, CHEVROLET MYLINK RADIO.. KEYLESS OPEN. SEE MORE! KEY FEATURES INCLUDE Back-Up Camera, Satellite Radio, iPod/MP3 Input, Onboard Communications System, Aluminum Wheels, WiFi Hotspot Rear Spoiler, MP3 Player, Steering Wheel Controls, Heated Mirrors, Electronic Stability Control. OPTION PACKAGES CONVENIENCE PACKAGE includes (ATH) Keyless Open, (BTM) Keyless Start, (KA1) heated driver and front passenger seats and (AH5) driver 8-way power seat adjuster, and (BTV) remote vehicle starter system [with automatic transmission only]; deletes (KTF) primary foldable key, ENGINE, 1.4L TURBO DOHC 4-CYLINDER DI with Continuous Variable Valve Timing (CVVT) (153 hp [114.08 kW] @ 5600 rpm, 177 lb-ft of torque [239 N-m] @ 2000-4000 rpm) (STD), TRANSMISSION, 6-SPEED AUTOMATIC (STD), KEYLESS OPEN, AUDIO SYSTEM, CHEVROLET MYLINK RADIO WITH 7 DIAGONAL COLOR TOUCH-SCREEN AM/FM stereo with seek-and-scan and digital clock, includes Bluetooth streaming audio for music and select phones; featuring Android Auto and Apple CarPlay capability for compatible phone (STD). EXPERTS ARE SAYING AutoCheck One Owner WHY BUY FROM US Chevrolet Buick GMC of Fairbanks sells new, certified pre-owned and used cars, trucks and SUVs in Fairbanks, Alaska. We offer financing options and incentives for all North Star Borough Chevrolet, Buick and GMC customers. Our inventory includes the popular Chevy Malibu, the versatile Chevy Traverse and the powerful Chevy Silverado pickup truck. Consider the all new Buick Verano or the GMC Sierra. Schedule a test drive at Chevrolet Buick GMC of Fairbanks today! Plus tax, title and license. Prices include $200 dealer doc fee. See dealer for Stock Numbers. Price contains all applicable dealer incentives and non-limited factory rebates. You may qualify for additional rebates; see dealer for details. LS trim. Alloy Wheels, Trailer Hitch, 4x4, Onboard Communications System, Satellite Radio, ENGINE, VORTEC 4.8L VARIABLE VALVE TI... DIFFERENTIAL, HEAVY-DUTY AUTOMATIC LO... TRANSMISSION, 4-SPEED AUTOMATIC, ELEC... CLICK NOW! PREMIUM EQUIPMENT ON THIS CHEVY SILVERADO INCLUDE TRAILERING PACKAGE, HEAVY-DUTY includes trailering hitch platform and 2-inch receiver, 7- wire harness (harness includes wires for: park lamps, backup lamps, right turn, left turn, electric brake lead, battery and ground) with independent fused trailering circuits mated to a 7-way sealed connector, wiring harness for after-market trailer brake controller (located in the instrument panel harness) and (KNP) external transmission oil cooler (Includes (Z85) Handling/Trailering Suspension Package. Also includes (G80) heavy-duty automatic locking rear differential on Retail orders only. ), AUDIO SYSTEM, AM/FM STEREO WITH MP3 COMPATIBLE CD PLAYER seek-and-scan, digital clock, auto-tone control, Radio Data System (RDS), speed-compensated volume and TheftLock (STD), DIFFERENTIAL, HEAVY-DUTY AUTOMATIC LOCKING REAR, ENGINE, VORTEC 4.8L VARIABLE VALVE TIMING V8 SFI FLEXFUEL capable of running on unleaded or up to 85% ethanol (302 hp [225.2 kW] @ 5600 rpm, 305 lb-ft torque [411.8 N-m] @ 4600 rpm), iron block (STD), TRANSMISSION, 4-SPEED AUTOMATIC, ELECTRONICALLY CONTROLLED with overdrive and tow/haul mode (STD) KEY FEATURES ON THIS SILVERADO INCLUDE 4x4, Satellite Radio, Onboard Communications System, Chrome Wheels Keyless Entry, Privacy Glass, Electronic Stability Control, Alarm, Heated Mirrors. Chevrolet LS with BLACK exterior and DARK TITANIUM interior features a 8 Cylinder Engine with 302 HP at 5600 RPM*. Sure WHY BUY FROM US Chevrolet Buick GMC of Fairbanks sells new Plus tax, title and license. Prices include $200 dealer doc fee. See dealer for Stock Numbers. Price contains all applicable dealer incentives and non-limited factory rebates. You may qualify for additional rebates; see dealer for details. REDUCED FROM $20,999!, EPA 36 MPG Hwy/27 MPG City! iPod/MP3 Input, Satellite Radio, Onboard Communications System, WiFi Hotspot, Keyless Start, Back-Up Camera, ENGINE, 1.5L TURBO DOHC 4-CYLINDER DI... Turbo Charged Engine CLICK NOW! KEY FEATURES INCLUDE Back-Up Camera, Satellite Radio, iPod/MP3 Input, Onboard Communications System, Aluminum Wheels, Keyless Start, WiFi Hotspot MP3 Player, Keyless Entry, Steering Wheel Controls, Child Safety Locks, Heated Mirrors. OPTION PACKAGES TRANSMISSION, 6-SPEED AUTOMATIC (STD), ENGINE, 1.5L TURBO DOHC 4-CYLINDER DI with Variable Valve Timing (VVT) (160 hp [119.3 kW] @ 5700 rpm, 184 lb-ft torque [248.4 N-m] @ 2500-3000 rpm) (STD), AUDIO SYSTEM, CHEVROLET MYLINK RADIO WITH 7 DIAGONAL COLOR TOUCH-SCREEN, AM/FM STEREO with seek-and-scan and digital clock, includes Bluetooth streaming audio for music and select phones; featuring Android Auto and Apple CarPlay capability for compatible phone (STD). Chevrolet LT with SUMMIT WHITE exterior and JET BLACK interior features a 4 Cylinder Engine with 160 HP at 5700 RPM*. EXPERTS REPORT Great Gas Mileage: 36 MPG Hwy. EXCELLENT VALUE AutoCheck One Owner Was $20,999. MORE ABOUT US Chevrolet Buick GMC of Fairbanks sells new, certified pre-owned and used cars, trucks and SUVs in Fairbanks, Alaska. We offer financing options and incentives for all North Star Borough Chevrolet, Buick and GMC customers. Our inventory includes the popular Chevy Malibu, the versatile Chevy Traverse and the powerful Chevy Silverado pickup truck. Consider the all new Buick Verano or the GMC Sierra. Schedule a test drive at Chevrolet Buick GMC of Fairbanks today! Plus tax, title and license. Prices include $200 dealer doc fee. See dealer for Stock Numbers. Price contains all applicable dealer incentives and non-limited factory rebates. You may qualify for additional rebates; see dealer for details. ONLY 27,523 Miles! PRICE DROP FROM $24,999, $500 below NADA Retail!, EPA 28 MPG Hwy/19 MPG City! Heated Leather Seats, Remote Engine Start, Onboard Communications System, CD Player, WiFi Hotspot, Cross-Traffic Alert, Rear Air SEE MORE! KEY FEATURES INCLUDE Leather Seats, Rear Air, Heated Driver Seat, Back-Up Camera, Satellite Radio, CD Player, Onboard Communications System, Aluminum Wheels, Remote Engine Start, Dual Zone A/C, Cross-Traffic Alert, WiFi Hotspot, Blind Spot Monitor, Heated Seats, Heated Leather Seats Remote Trunk Release, Keyless Entry, Steering Wheel Controls, Child Safety Locks, Electronic Stability Control. OPTION PACKAGES TRANSMISSION, 6-SPEED AUTOMATIC, ELECTRONICALLY-CONTROLLED WITH OVERDRIVE (STD), ENGINE, 3.6L DOHC V6 DI WITH VARIABLE VALVE TIMING (VVT) (305 hp [227.4 kW] @ 6800 rpm, 264 lb-ft of torque [356.4 N-m] @ 5200 rpm) (STD), AUDIO SYSTEM, CHEVROLET MYLINK RADIO WITH 8 DIAGONAL COLOR TOUCH-SCREEN, AM/FM STEREO with seek-and-scan and digital clock, includes Bluetooth streaming audio for music and select phones; voice-activated technology for radio and phone; featuring Android Auto and Apple CarPlay capability for compatible phone and Shop with the ability to browse, select and install apps to your vehicle. Apps include Pandora, iHeartRadio, The Weather Channel and more (STD). EXPERTS RAVE Great Gas Mileage: 28 MPG Hwy. A GREAT TIME TO BUY Reduced from $24,999. This Impala is priced $500 below NADA Retail. WHY BUY FROM US Chevrolet Buick GMC of Fairbanks sells new, certified pre-owned and used cars, trucks and SUVs in Fairbanks, Alaska. We offer financing options and incentives for all North Star Borough Chevrolet, Buick and GMC customers. Our inventory includes the popular Chevy Malibu Plus tax, title and license. Prices include $200 dealer doc fee. See dealer for Stock Numbers. Price contains all applicable dealer incentives and non-limited factory rebates. You may qualify for additional rebates; see dealer for details. Moonroof, Heated Leather Seats, Aluminum Wheels, Onboard Communications System, All Wheel Drive, Satellite Radio, Premium Sound System, Hitch, TRANSMISSION, 6-SPEED AUTOMATIC, HEAV... ENGINE, VORTEC HIGH-OUTPUT 6.2L VARIA... READ MORE! KEY FEATURES INCLUDE Leather Seats, All Wheel Drive, Heated Driver Seat, Premium Sound System, Satellite Radio, Onboard Communications System, Trailer Hitch, Aluminum Wheels, Remote Engine Start, Dual Zone A/C, Heated Seats, Heated Leather Seats Rear Seat Audio Controls, Keyless Entry, Privacy Glass, Steering Wheel Controls, Rear Parking Aid. OPTION PACKAGES WHEELS, 4 - 20 X 8.5 (50.8 CM X 21.6 CM) CHROME ALUMINUM, SUNROOF, POWER with express-open, retracts into roof, AUDIO SYSTEM, AM/FM STEREO WITH MP3 COMPATIBLE 6-DISC IN-DASH CD CHANGER seek-and-scan, digital clock, auto-tone control and Radio Data System (RDS) (STD), ENGINE, VORTEC HIGH-OUTPUT 6.2L VARIABLE VALVE TIMING V8 SFI (403 hp [300.5 kW] @ 5700 rpm, 417 lb-ft of torque [565.4 N-m] @ 4300 rpm) (STD), TRANSMISSION, 6-SPEED AUTOMATIC, HEAVY-DUTY, ELECTRONICALLY CONTROLLED with overdrive and tow/haul mode (STD). GMC Sierra Denali with SILVER BIRCH METALLIC exterior and EBONY interior features a 8 Cylinder Engine with 403 HP at 5700 RPM*. 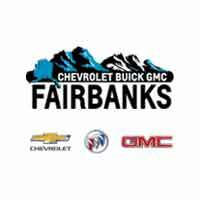 VISIT US TODAY Chevrolet Buick GMC of Fairbanks sells new, certified pre-owned and used cars, trucks and SUVs in Fairbanks, Alaska. We offer financing options and incentives for all North Star Borough Chevrolet, Buick and GMC customers. Our inventory includes the popular Chevy Malibu, the versatile Chevy Traverse and the powerful Chevy Silverado pickup truck. Consider the all new Buick Verano or the GMC Sierra. Schedule a test drive at Chevrolet Buick GMC of Fairbanks today! Plus tax, title and license. Prices include $200 dealer doc fee. See dealer for Stock Numbers. Price contains all applicable dealer incentives and non-limited factory rebates. You may qualify for additional rebates; see dealer for details. LOW MILES - 35,956! Heated Leather Seats, Satellite Radio, Back-Up Camera, Onboard Communications System, Dual Zone A/C, Remote Engine Start, Rear Air, TRANSMISSION, 6-SPEED AUTOMATIC, ELEC... ENGINE, 3.6L SIDI DOHC V6 VVT CLICK NOW! KEY FEATURES INCLUDE Leather Seats, All Wheel Drive, Rear Air, Heated Driver Seat, Back-Up Camera, Satellite Radio, Onboard Communications System, Aluminum Wheels, Remote Engine Start, Dual Zone A/C, Heated Seats, Heated Leather Seats Keyless Entry, Child Safety Locks, Steering Wheel Controls, Electronic Stability Control, Heated Mirrors. OPTION PACKAGES DRIVER CONFIDENCE PACKAGE includes (UKC) Side Blind Zone Alert with Lane Change Alert, (UFG) Rear Cross-Traffic Alert, (UFL) Lane Departure Warning, (UEU) Forward Collision Alert, (UV6) Head-Up Display, (T3U) front halogen fog lamps with and (T4F) Xenon High-intensity Discharge (HID) articulating headlamps, AUDIO SYSTEM, BUICK INTELLILINK RADIO, AM/FM STEREO AND CD PLAYER includes USB port and Bluetooth streaming for audio and select phones (STD), TRANSMISSION, 6-SPEED AUTOMATIC, ELECTRONICALLY CONTROLLED WITH OVERDRIVE includes Driver Shift Control (STD), ENGINE, 3.6L SIDI DOHC V6 VVT (304 hp [226.7 kW] @ 6800 rpm, 264 lb-ft of torque [356.4 N-m] @ 5300 rpm) (STD). MORE ABOUT US Chevrolet Buick GMC of Fairbanks sells new, certified pre-owned and used cars, trucks and SUVs in Fairbanks, Alaska. We offer financing options and incentives for all North Star Borough Chevrolet, Buick and GMC customers. Our inventory includes the popular Chevy Malibu, the versatile Chevy Traverse and the powerful Chevy Silverado pickup truck. Consider the all new Buick Verano or the GMC Sierra. Schedule a test drive at Chevrolet Buick GMC of Fairbanks today! Plus tax, title and license. Prices include $200 dealer doc fee. See dealer for Stock Numbers. Price contains all applicable dealer incentives and non-limited factory rebates. You may qualify for additional rebates; see dealer for details. GREAT MILES 27,813! FUEL EFFICIENT 30 MPG Hwy/24 MPG City! Satellite Radio, Back-Up Camera, All Wheel Drive, WiFi Hotspot, Keyless Start, Onboard Communications System, TRANSMISSION, 6-SPEED AUTOMATIC, ELEC... Turbo Charged CLICK NOW! KEY FEATURES INCLUDE All Wheel Drive, Back-Up Camera, Satellite Radio, Onboard Communications System, Aluminum Wheels, Keyless Start, WiFi Hotspot. Keyless Entry, Privacy Glass, Steering Wheel Controls, Child Safety Locks, Electronic Stability Control. OPTION PACKAGES TRANSMISSION, 6-SPEED AUTOMATIC, ELECTRONICALLY-CONTROLLED WITH OVERDRIVE includes Driver Shift Control (STD), ENGINE, ECOTEC TURBO 1.4L VARIABLE VALVE TIMING DOHC 4-CYLINDER SEQUENTIAL MFI (138 hp [102.9 kW] @ 4900 rpm, 148 lb-ft of torque [199.8 N-m] @ 1850 rpm) (STD), AUDIO SYSTEM, BUICK INTELLILINK RADIO, AM/FM STEREO with 8 diagonal Color Touch Screen, includes 2 USB ports, Bluetooth streaming for audio and select phones and Phone Integration for Apple CarPlay and Android Auto capability for compatible phone (STD). Buick Preferred with QUICKSILVER METALLIC exterior and EBONY interior features a 4 Cylinder Engine with 138 HP at 4900 RPM*. EXPERTS CONCLUDE Great Gas Mileage: 30 MPG Hwy. WHY BUY FROM US Chevrolet Buick GMC of Fairbanks sells new, certified pre-owned and used cars, trucks and SUVs in Fairbanks, Alaska. We offer financing options and incentives for all North Star Borough Chevrolet, Buick and GMC customers. Our inventory includes the popular Chevy Malibu, the versatile Chevy Traverse and the powerful Chevy Silverado pickup truck. Consider the all new Buick Verano or the GMC Sierra. Schedule a test drive at Chevrolet Buick GMC of Fairbanks today! Plus tax, title and license. Prices include $200 dealer doc fee. See dealer for Stock Numbers. Price contains all applicable dealer incentives and non-limited factory rebates. You may qualify for additional rebates; see dealer for details. NAV, Alloy Wheels, AUDIO SYSTEM, CHEVROLET MYLINK RADIO.. AUDIO SYSTEM, CHEVROLET MYLINK RADIO WITH NAVIGATION, 7 DIAGONAL COLOR TOUCH-SCREEN AM/FM/SIRIUSXM STEREO, Onboard Communications System, WiFi Hotspot, All Wheel Drive AND MORE! KEY FEATURES INCLUDE All Wheel Drive, Back-Up Camera, Onboard Communications System, Aluminum Wheels, WiFi Hotspot Privacy Glass, Keyless Entry, Child Safety Locks, Electronic Stability Control, Heated Mirrors. OPTION PACKAGES ENGINE, 3.6L V6 SIDI (SPARK IGNITION DIRECT INJECTION) with VVT (Variable Valve Timing) (301 hp [224.4 kW] @ 6500 rpm, 272 lb-ft [367.2 N-m] @ 4800 rpm), CONVENIENCE PACKAGE includes (C68) automatic climate control, (BTV) remote vehicle starter system, (NP5) leather-wrapped steering wheel with audio and cruise controls, (AE8) driver 8-way power front seat adjuster and (KA1) heated driver and passenger front seats, TECHNOLOGY PACKAGE includes (UHQ) Chevrolet MyLink radio with Navigation and (UZ8) Pioneer premium 8-speaker sound system, LIFTGATE, POWER PROGRAMMABLE REAR WITH FIXED GLASS, DRIVER CONFIDENCE PACKAGE includes (UFT) Side Blind Zone Alert, (UFG) Rear Cross Traffic Alert and (UD7) Rear Park Assist, SEAT ADJUSTER FRONT, DRIVER 8-WAY POWER WITH POWER LUMBAR, AUDIO SYSTEM, CHEVROLET MYLINK RADIO WITH NAVIGATION, 7 DIAGONAL COLOR TOUCH-SCREEN AM/FM/SIRIUSXM STEREO with MP3 playback capability, GPS navigation system, outside temperature indicator and Radio Data System (RDS), includes Bluetooth streaming audio for select phones; voice-activated technology for radio and phone; Hands-Free smartphone integration with Pandora and Stitcher; Gracenote (Playlist+, Album art), UNIVERSAL HOME REMOTE, TRANSMISSION, 6-SPEED AUTOMATIC WITH OVERDRIVE (STD). Plus tax, title and license. Prices include $200 dealer doc fee. See dealer for Stock Numbers. Price contains all applicable dealer incentives and non-limited factory rebates. You may qualify for additional rebates; see dealer for details. Entertainment System, Heated Leather Seats, Aluminum Wheels, Onboard Communications System, 4x4, Multi-CD Changer, Premium Sound System, Hitch, TRANSMISSION, ALLISON 1000 5-SPEED AU... MIRRORS, OUTSIDE REARVIEW, POWER, HEA... SEE MORE! THIS SILVERADO IS EQUIPPED WITH PREMIUM FEATURES HEAVY-DUTY POWER PACKAGE, includes (LLY) Engine, Duramax 6600 Turbo Diesel, (M74) Transmission, Allison 1000 5-speed automatic, and (G80) Differential, locking, heavy-duty, rear, ENTERTAINMENT SYSTEM, REAR SEAT, includes DVD player, LCD display, wireless headphones and remote control, TRANSMISSION, ALLISON 1000 5-SPEED AUTOMATIC, ELECTRONICALLY CONTROLLED WITH OVERDRIVE, TOW/HAUL MODE, (KNP) Cooling, external transmission oil cooler and electronic engine grade braking, REGULAR PRODUCTION ACCESSORY, ASSIST STEPS, CHROME PLATED TUBULAR, STAINLESS STEEL, TRAILERING EQUIPMENT, HEAVY-DUTY, includes trailering hitch platform, 7-wire harness (harness includes wires for: park lamps, backup lamps, right turn, left turn, electric brake lead, battery and ground) with independent fused trailering circuits mated to a 7-way sealed connector, 7-way to 4-way trailer adapter, instrument panel jumper wiring harness for electric trailer brake controller, and 1-way sealed connector for center high-mounted stop/brake lamp. Also includes (K47) Air cleaner, high capacity, MIRRORS, OUTSIDE REARVIEW, POWER, HEATED, CAMPER-STYLE, includes power extending arms and turn signal indicators KEY FEATURES ON THIS SILVERADO INCLUDE Leather Seats, 4x4, Heated Driver Seat, Premium Sound System, Multi-CD Changer, Onboard Communications System, Aluminum Wheels, Dual Zone A/C, Heated Seats, Heated Leather Seats Rear Seat Audio Controls, Privacy Glass, Keyless Entry Plus tax, title and license. Prices include $200 dealer doc fee. See dealer for Stock Numbers. Price contains all applicable dealer incentives and non-limited factory rebates. You may qualify for additional rebates; see dealer for details. LTZ trim. Heated Leather Seats, 3rd Row Seat, Sunroof, Navigation, Captains Chairs, Alloy Wheels, All Wheel Drive, TRANSMISSION, 6-SPEED AUTOMATIC, ENGINE, 3.6L SIDI V6, SUNROOF, DUAL SKYSCAPE 2-PANEL POWER. CLICK NOW! KEY FEATURES INCLUDE Leather Seats, Third Row Seat, All Wheel Drive, Quad Bucket Seats, Power Liftgate, Rear Air, Heated Driver Seat, Cooled Driver Seat, Back-Up Camera, Premium Sound System, Onboard Communications System, Aluminum Wheels, Remote Engine Start, Dual Zone A/C, Blind Spot Monitor. Rear Spoiler, Rear Seat Audio Controls, Privacy Glass, Remote Trunk Release, Keyless Entry. OPTION PACKAGES SUNROOF, DUAL SKYSCAPE 2-PANEL POWER with tilt-sliding front and fixed rear with sunscreen, COLOR TOUCH NAVIGATION SYSTEM (Includes (UGY) Chevrolet MyLink radio with Navigation without (U42) rear seat entertainment system. ), AUDIO SYSTEM, CHEVROLET MYLINK RADIO WITH NAVIGATION 6.5 diagonal color touch-screen display, AM/FM/SiriusXM/HD radio with CD player, includes Bluetooth streaming audio for music and select phones; Hands-Free smartphone integration with Pandora and Stitcher; voice-activated technology for radio and phone (Included and only available with (PDB) Color Touch Navigation System. ), ENGINE, 3.6L SIDI V6 (281 hp [210 kW] @ 6300 rpm, 266 lb-ft of torque @ 3400 rpm [359.1 N-m]) ((288 hp [214.7 kW] @ 6300 rpm, 270 lb-ft of torque @ 3400 rpm [364.5 N-m] with dual exhaust).) (STD), TRANSMISSION, 6-SPEED AUTOMATIC. OUR OFFERINGS Chevrolet Buick GMC of Fairbanks sells new, certified pre-owned and used cars, trucks and SUVs in Fairbanks, Alaska. We offer financing options and incentives for all North Star Borough Chevrolet, Buick and GMC customers. Our inventory includes the popular Chevy Malibu Plus tax, title and license. Prices include $200 dealer doc fee. See dealer for Stock Numbers. Price contains all applicable dealer incentives and non-limited factory rebates. You may qualify for additional rebates; see dealer for details. Why Buy from Chevrolet Buick GMC of Fairbanks? There are plenty of reasons why Fairbanks drivers choose Chevrolet Buick GMC of Fairbanks as the go-to spot for their used car buying needs. It’s not just that our used vehicles are inspected for quality; our friendly staff, moreover, will help you figure out what kind of car you’re looking for, and what questions to ask. Need routine repairs on your used car? Don’t worry. If your used vehicle needs repair, you can enjoy a comfortable service lounge while you wait. So once you’re ready to explore one of our 145 used cars, contact us today. You’ll be out the door and in your favorite used car shortly.